When spouses divorce, their settlement agreement or divorce decree typically outlines their property rights and responsibilities. The divorce settlement may include a waiver of one spouse's right to collect on the other spouse's life insurance policy, retirement plan or other accounts that name that spouse as beneficiary. However, this waiver is usually not binding on plan administrators or insurance companies. Additionally, if you don't remove your ex-spouse from your will after the divorce, she may inherit assets from your estate unless you change the terms of your will. Some states automatically void beneficiary designations when spouses divorce, regardless of whether the spouses waived their rights to these benefits during the divorce. For example, in Texas, the provision designating a spouse as the beneficiary of the other's life insurance policy is automatically void upon the couple's divorce. However, waivers do not bind plan administrators who are required to distribute benefits according to beneficiary designations. In light of the Supreme Court decision in Hillman v. Maretta, state laws that automatically void beneficiary designations upon divorce may not be binding on administrators, particularly if the account or policy is governed by federal rules. Former spouses must revoke these designations to ensure that benefits will not be paid to an ex-spouse upon death. 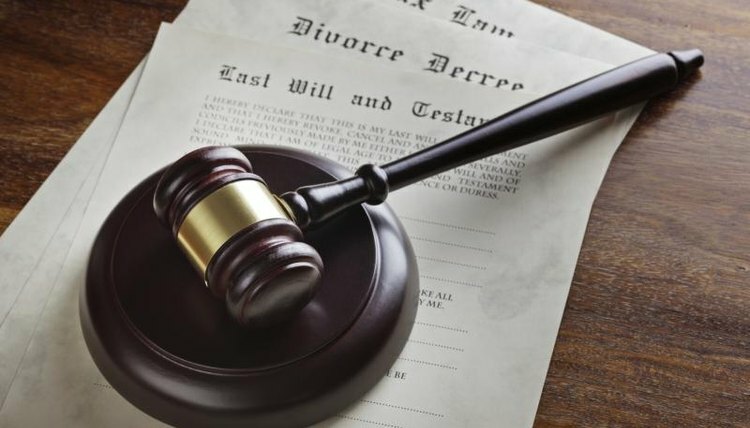 Additionally, many states, including California and Texas, have laws that automatically revoke gifts made in a will to a former spouse upon divorce, but not all do, so it may also be necessary for former spouses to update their wills after divorce. Nancy R. Van Tine, Massachusetts Divorce Law Monitor: Does Your Ex-Spouse Inherit Your Estate If You Unexpectedly Die? Shutt Law Firm: Does Ex-Spouse Inherit From My Will After The Divorce? Jane, Mary. "Rights of an Ex-Wife After the Death of a Former Husband." , https://legalbeagle.com/5653388-rights-after-death-former-husband.html. Accessed 19 April 2019. What Are the Rules for Wills in Delaware? What Is a Legal Will in California?